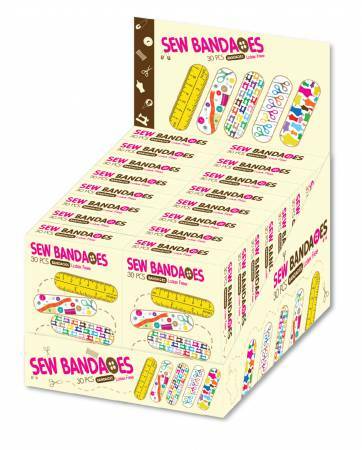 Display of novelty bandages in boxes. Display holds 16 boxes. Each box contains 30 latex free bandages. 5 different designs in each box. FDA certified.